Android has become one of the fastest growing mobile platforms in recent years with more than 70% users using android phones across the globe. According to the statistics revealed by Statista, android leads the global market with 80% android users in the world, while apple’s iOS is stands at second place. Android is backed by Google, and is constantly updating and innovating the mobile OS to increase user engagement and smoothen mobile operations. Because of its versatile, user friendly and open source platform, it has become the preferred choice for app developers. BrainMobi is one of the best android app development company offering scalable android applications with intuitive designs. 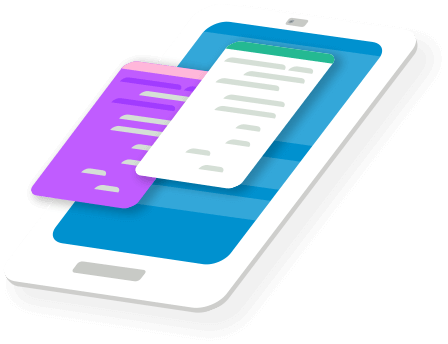 Our certified android app developers perform deep research and follow agile methodologies by implementing best practices in app development. Our skilled developers have in-depth knowledge and strong expertise in Android Software Development Kit (ASDK) APIs, Android Native Development Kit (ANDK), and android emulator. Android is an open source platform and has low entry barriers and allows developers to build apps very easily. It offers faster and relatively low cost development for business and start-ups. Its robust Software Development Kit (SDK) helps to reduce development cost which means that it can be leveraged without having to worry about the licensing costs. Android gives you a world-class platform for creating applications and android games for hundreds of millions of users in more than 190 countries around the world. Each month more than 2 million apps and games are downloaded worldwide. This allows you to reach out to larger section of the android users and increase your market penetration. Android offers everything you need in terms of mobile app development. It automatically enhances your UI on different mobile devices, while giving you full control on your UI for different device types. Android developer tools offers a full Java IDE with features for developing, debugging, and packaging Android apps. Why Hire Android App Developer From BrainMobi?